Ex-ESPN Reporter Apologizes For Giving LaVar Ball A Platform To Speak: "He's Not Very Bright" | Total Pro Sports Ex-ESPN Reporter Apologizes For Giving LaVar Ball A Platform To Speak: "He's Not Very Bright"
You might not have noticed, but Jeff Goodman is no longer with the Worldwide leader in sports, but before he left, he was put on an assignment that he didn’t like. With ESPN, Goodman served as the network’s college basketball insider, so he was sent out to Lithuania to cover LaVar, LiAngelo, and LaMelo as they transitioned from the states to pro ball for the first time. 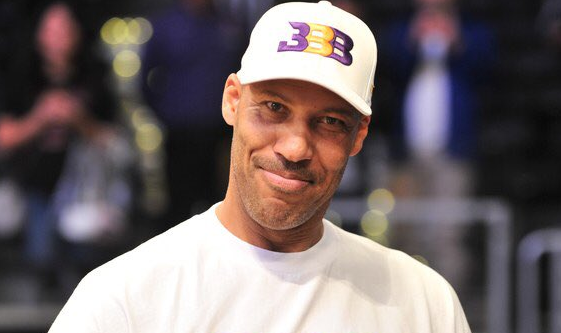 The Ball family would ultimately have a falling out with Goodman on the way he covered them and reported things back to the masses, which caused LaVar not to grant him anymore interviews. It’s been over a month since Goodman had left ESPN for Stadium and he has had some time to reflect upon that trip. He regrets everything, most notably, just giving LaVar the platform to speak his mind as he stated in the latest edition of Good ‘N Plenty podcast. Durant, #DubNation not NBA Villains, his choice to start a college program and my apology to Scott. SVP: You owe me no apology. I just chose, at an early stage, early on in his son’s freshman year at UCLA (the only Ball who ever made it there for any period of time or made it on the floor at all) … just he’s not a story to me. That stuff doesn’t interest me. And so, I kind of tapped out of all of it because as I said on the air, I don’t find it to be interesting. It’s nonsense. I mean, talking junk about LeBron James and continuing to do so. You know, whatever man. Goodman: And why the hell would you do it now when your son is on the same team as LeBron James? Goodman: How disrespectful. He’s just not very bright. Ultimately that’s just what I’ll say: He’s just not very bright. Because if he was, he wouldn’t put all three of his kids in harm’s way like he has.